A Real Estate Institution you can Trust. Good living is a state of mind and a tangible reality. Green ABC Infratech Housing Pvt. Ltd. Are committed to creating lifestyle habitat enrich the skyline of our nations gateway cities and inspire the people who work inside. Created by a top flight team of architects, construction experts, engineering and real estate professionals, our modern, eco-friendly environment reflects the unique needs and identities of our partners and buyers. Our projects have a flavor of innovative architectural styles, unique conceptualization & dependability quotient. As we design and built our cutting-edge residential structures, sustainability is one of our primary goals. From the building materials we use the efficiency of our system that provides energy and water. Our goal is to minimize our carbon footprint while providing a healthy, safe, secure setting for our inmates and the community at large. That’s why we have pledged to build all our projects at internationally recognized environmental standards, which ensures the most eco-friendly approach of construction. 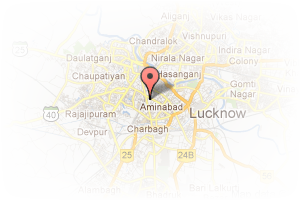 Address: 1st Floor Business Arcade, Alambagh, Lucknow, Uttar Pradesh, India. 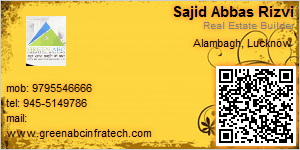 This Builder Profile page for "Green ABC Infratech Housing" has been created by PropertyWala.com. "Green ABC Infratech Housing" is not endorsed by or affiliated with PropertyWala.com. For questions regarding Builder Profiles on PropertyWala.com please contact us.